Tanzania is located in East Africa on the Indian Ocean. It is bordered by Kenya and Uganda to the north, Rwanda, Burundi and the Democratic Republic of the Congo to the west, and Zambia, Malawi and Mozambique to the south. 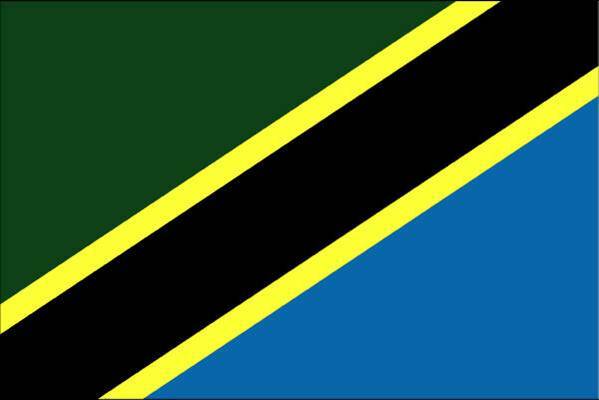 Tanzania gained its independence from Britain in 1961 and has been a democracy from that time with a very stable government and elections. It is one of the poorest countries in the world with most of its citizens working as subsistence farmers. It is 40% Christian, 40% Muslim and 20% other traditional religions-all living together peacefully. They have 120 different ethnic groups and, unlike other nearby countries, have not had ethnic conflicts but rather have very stable relationships among each other. Kiswahili is the national language but English is the language of business, commerce, science and post-secondary higher education. 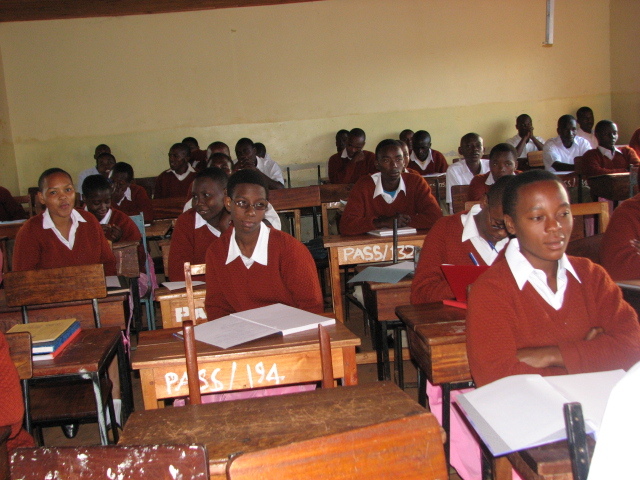 Thus, it is important for young people to be fluent in both Kiswahili and English in order to progress economically. The village of Pommern is the home to approximately 3,000 people in addition to approximately 600-800 students at the Secondary School. Most families are subsistence farmers. Their main crops are maize, beans and cabbage. Their homes are generally made out of red brick or clay with grass or tin roofs. They build their own home with bricks they make themselves. In 2008 there was no electricity nor running water. People had to use lanterns at night and haul buckets of water throughout the day for their cooking and cleaning needs. Now there is grid electricity available for much of Pommern for people who can afford it. Others use small solar electric systems in their homes for lighting. The Pommern Water Project provides close water access to about half the community. Cooking is done with charcoal in small Hibachi type grills/ovens. There is no indoor plumbing so outhouses are used. In Tanzania, children attend free government primary schools but only about ten percent can continue through examinations to the free government secondary schools. To fill the huge education gap, many churches operate their own secondary schools. 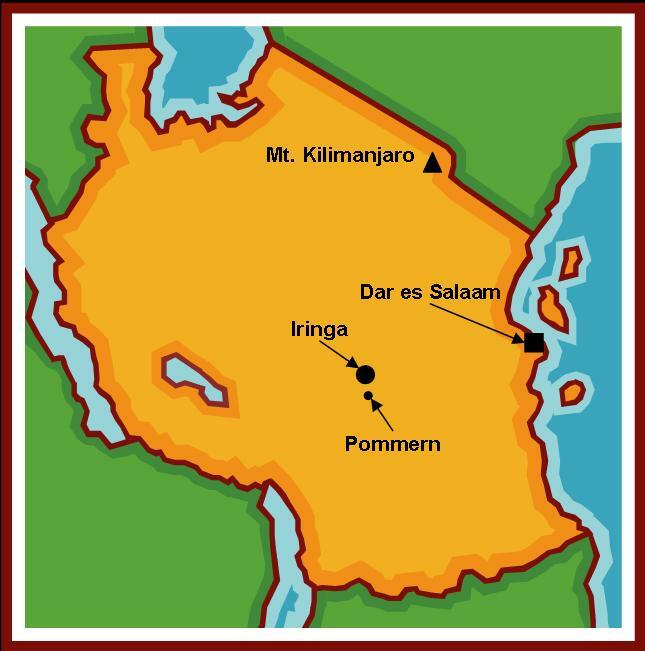 The Pommern Secondary School is one of the seven schools run by the Iringa Diocese of the Evangelical Lutheran Church of Tanzania which are open to children of all faiths. It is a boarding school for about 800 students ranging in age from teenagers up to adults in their 30s and is equivalent to our 7th-12th grades. Tuition, room and board is the equivalent of about $500 per year, which can be very difficult to pay by families of subsistence farmers.